USB-CN226:USB interface,cable directly for CS/CJ,CQM1H,CPM2C series PLC,3 Meters.No need to be switched over by CS1W-CN114,with communication indicator. 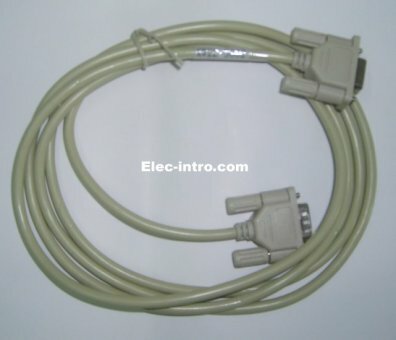 USB-CN226 is the programming cable in which USB interface provided both the serial connection and RS232 signal conversion. Under the control of computer-driven driver, the programming cable makes it possible for the computer's USB interface to simulate the traditional serial (known as COM interface), thus various existing programming software such as communications software, monitoring software and other applications can be normally used. The working power supply of this cable is directly from the USB port, but not the PLC programming interface. The two-color LED on the converter box indicates data’s transceiving status. USB device drivers should be installed before using USB-CN226 programming cable, which are available on the CD-ROM sold together with the cable. And for the specific installation steps, please refer to the instruction files on the CD-ROM drivers, and details are not necessarily listed here. After completing Driver installation, the corresponding COM port for the USB-CN226 programming cable will be displayed in the “Device Manager” of Window. The step next is just to choose this COM port in the programming software and other application software and keep other communication parameters as in the Default settings. And the following steps are exactly the same as in the traditional programming cables with RS232 interfaces. USB-CN226 programming cable does not support long-distance communications. 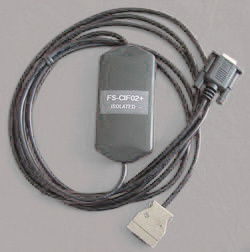 For long-distance communications, RS485/422 communication module can be chosen (model: FS-CIF11), which makes networking communications of dozens of PLC achievable, with the largest communications range of up to 2 Km. The quality is guaranteed.It's tested before shippment.Not made by? Omron,OEM product as the replacement. After you place the order on line,pls contact us and we will calculate the freight fee for you according to your requirements.